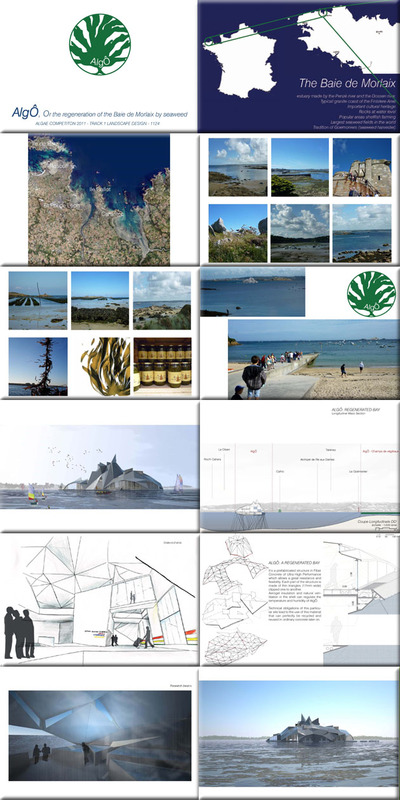 AlgÔ, or the regeneration of the Baie de Morlaix by seaweeds. This floating seaweed farm for Brittany in France is a fiber concrete structure with aerogel insulation and natural ventilation. AlgÔ will help clean the water, re-colonizing the bay with wildlife and transform the local economy. It will be a lab, a seaweed exhibition and visitor center. For more information about this entry, contact the author. email: ibardeche@gmail.com.